While I enjoyed Bangkok with its noise, dynamism, and nightlife I decided to leave the city for few days and explore Thailand countryside. I went to Kanchanaburi, a town located 200 km northwest of Bangkok. It is a two hours ride with a comfortable bus including AC for only 110 baht, (more info about the bus trip here). In Kanchanaburi I stayed at the Tamarind, a guesthouse with rooms overlooking the river Kwai. It is exactly what I was looking for when getting away from Bangkok, a chilled out atmosphere along the river with no noise and not so many tourists. OK, now Kanchanaburi? I bet none of you has ever heard about this town before! I had not, I heard it the first time when a fellow traveller I met in Bangkok mention it to me and says you should come with us and check out the place. I said yes. To get there from Bangkok, you can take the BKS public buses (line 81). 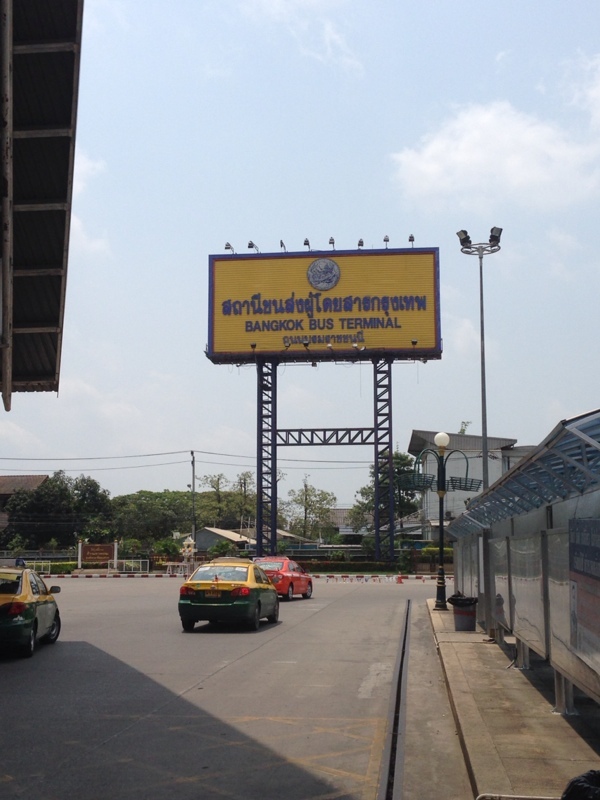 The bus leaves from Bangkok’s Southern Bus Terminal. When you get to the terminal, look for the stands 79 and 80 to buy your tickets. I bought first class ticket for buses that leave Bangkok every 15 minutes from 05:00-22:30. It takes about two hours, and cost 110 baht including a bottle of water. 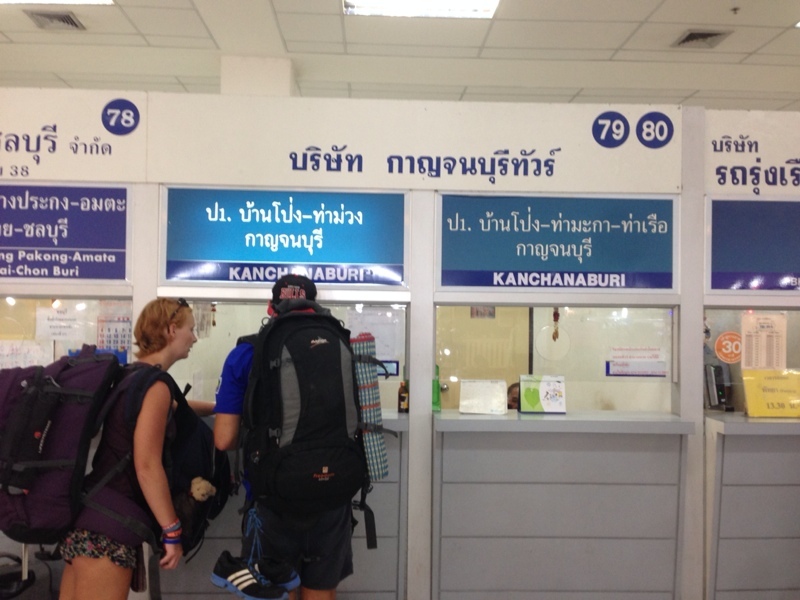 In Kanchanaburi, the bus drops you at the main terminal in the centre of the city. From there, you can take a tuk tuk, or a taxi that will drive you to your guesthouse. If you do not have a guesthouse, gently ask the driver a recommendation based on your criteria and he should be able to find you something reasonable.